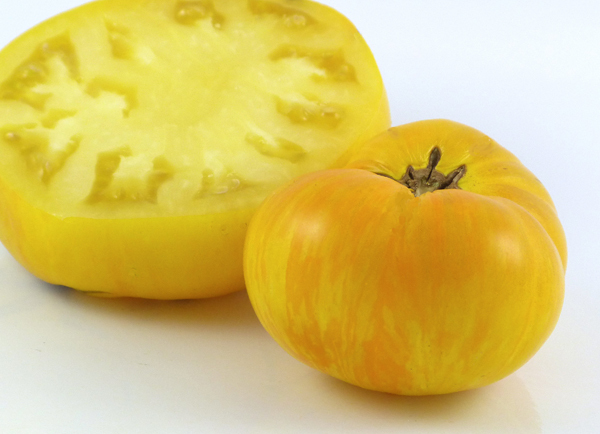 “Pork Chop” is a fine yellow beefsteak by Brad Gates of Wild Boar Farms. 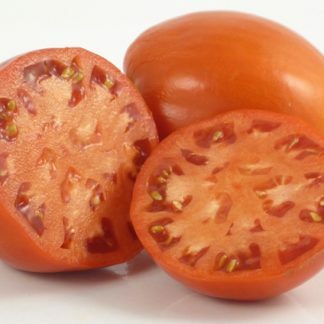 It is not one of his newer creations, but it is a good one to continue to grow due to its excellent flavor and texture. The ripe fruits retain faint striping, and the beefsteaks are of decent size and productivity. 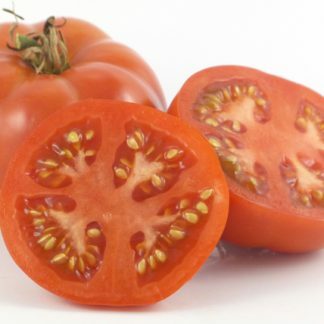 My tasting notes describe the flavor as, “DELICIOUS, if not overripe; tangy, sweet, and fruity.” I have seen this listed as one word, “Porkchop,” but the breeder lists it on his site as two words, so this is the name I will use. 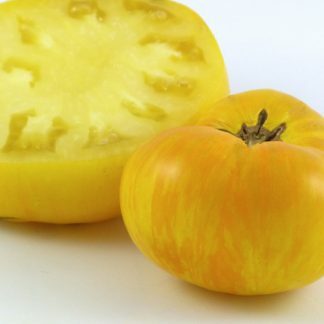 I think I remember Mr. Gates describing Yellow Radiance as something of an earlier version of Pork Chop. I agree that Pork Chop was later for me than Yellow Radiance; however, it wasn’t late season and the flavor (to me) was better.